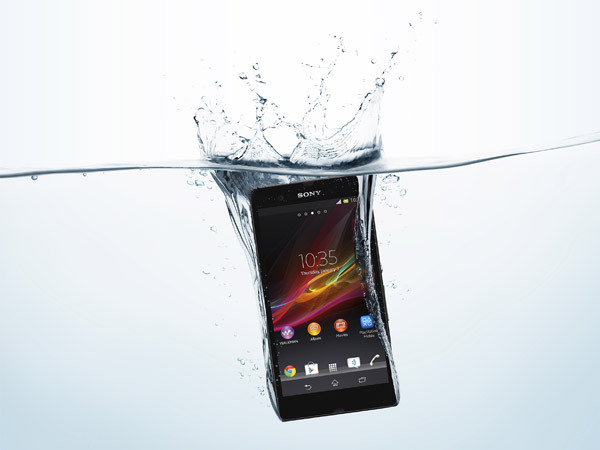 CES 2013: Sony announce a pair of smartphones, a flood of cameras and flagship LED TVs! Sony have a new flagship smartphone! The Xperia Z is basically the best of Sony's current design language coupled with all of the latest internals. For example there's a 1.5GHz quad-core Qualcomm Snapdragon S4 Pro processor keeping things ticking over with 2GB of RAM, as well as a 13-megapixel camera, a 5-inch 1080p TFT display, which may have some viewing angle issues, but we'll wait for full reviews to come in to judge that! All of this is crammed into a waterproof body which is a mere 7.9mm thick! Both this device and it's sister the Xperia ZL will on Android 4.1 and Sony will offer an update to 4.2 shortly after they launch! The Xperia Z does offer LTE connectivity so there is a chance that this will be arriving in the United States, but we do know it'll be arriving in the UK because Vodafone, O2 (Who have an exclusive purple version), Three and Phones 4U have already confirmed they will be selling the phone in March! EE will likely get it but they always take their time announcing things like this! Xperia Z pictured left and the Xperia ZL pictured right! Image Credit: TechRadar. 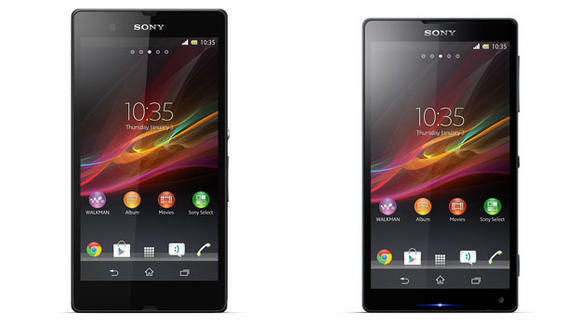 We mentioned that there was an uncanny similarity between the Xperia Z and the slightly smaller Xperia ZL. 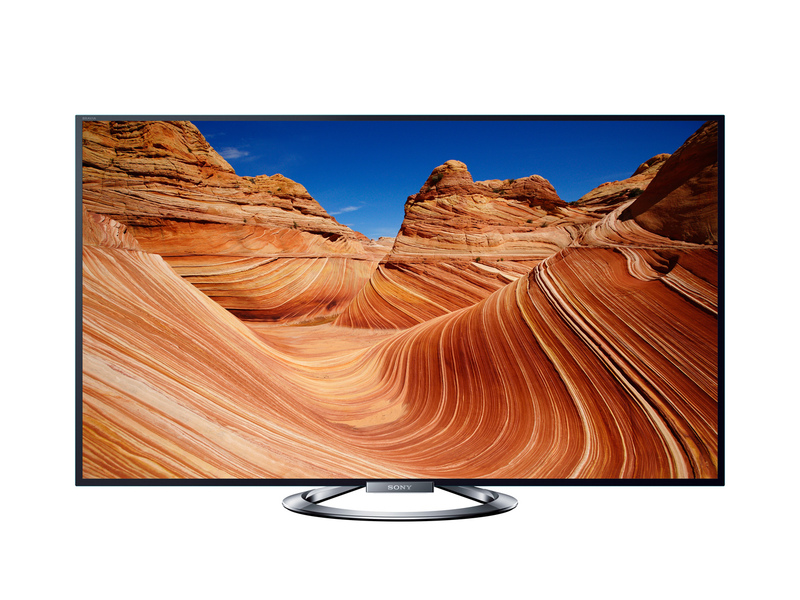 Essentially they are the same except the ZL features an Infrared blaster for controlling your television and it's slightly skinnier in terms of width but it is also thicker and curved, presumably it's thicker to accommodate the slightly larger battery! Either way they both support LTE and they will both be available in March. We haven't heard of any carriers for the ZL yet, but if we do hear we'll be sure to update this post! If you're stuck between which one to go for then Sony has made a nice little video showing off both phones and they make some nice comparisons about which one to go for depending on your preferences! Check the video out below! If you're interested in Sony's huge (and we meant absolutely enormousness!) 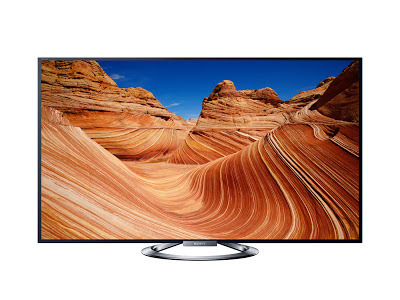 list of new televisions and cameras then you can have a look through this list here! It would be silly to try to cover every individual one because there's probably somewhere near 50 of them! But here is a little teaser of Sony's new television design! This TV comes in 55 and 65" options! January 7th 2013, Las Vegas, USA – Sony Mobile Communications (“Sony Mobile”) today introduces its new flagship Android smartphone, Xperia Z. With a 5″ Full HD 1080p Reality Display, Snapdragon™ S4 Pro quad-core processor, 13 megapixel fast-capture camera and 4G LTE, Xperia Z has all the specifications expected from a premium smartphone. On top of this, it brings the best of Sony’s unique technology, content, design and connectivity to deliver rich user experiences. Xperia Z will launch globally in Q1 2013.